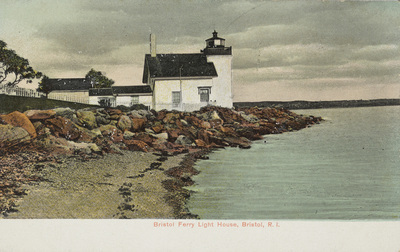 "Bristol Ferry Light House, Bristol, R.I." by Rhode Island News Company, Providence, R.I.
Bristol Ferry Light House, Bristol, R.I.
Rhode Island News Company, Providence, R.I., "Bristol Ferry Light House, Bristol, R.I." (1915). Rhode Island Postcards. 457.